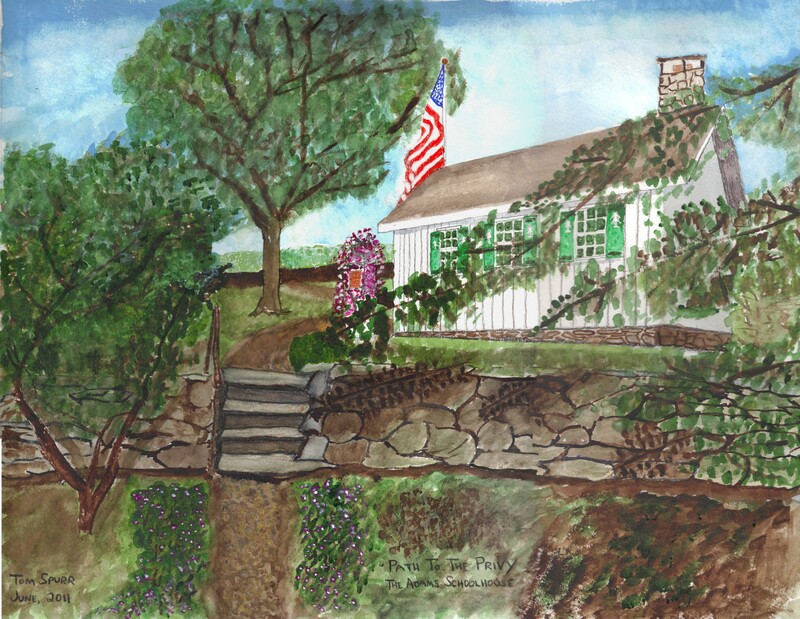 This section of the Historical Society of Easton, Connecticut website features drawings, paintings, and artistic photography created by the members of The Society and our neighbors here in Easton. 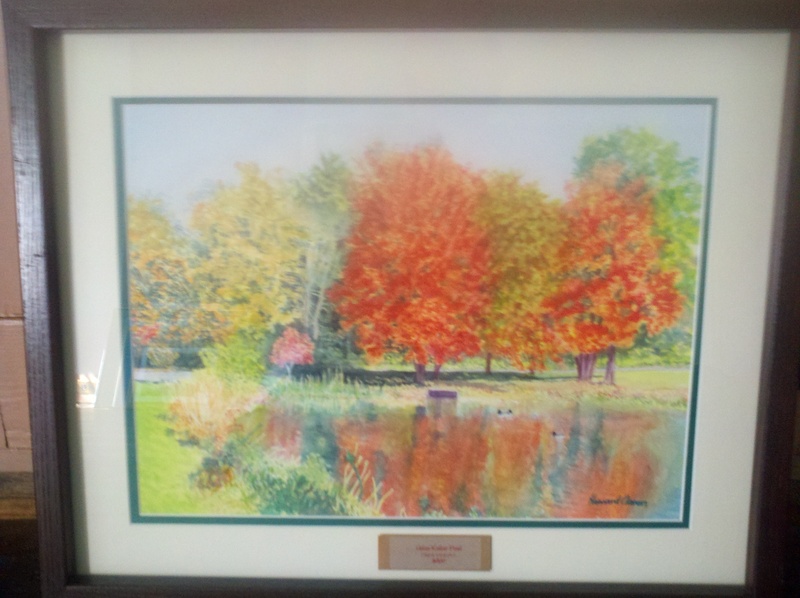 The works of art shown here depict some of the historic sites and sights of Easton. 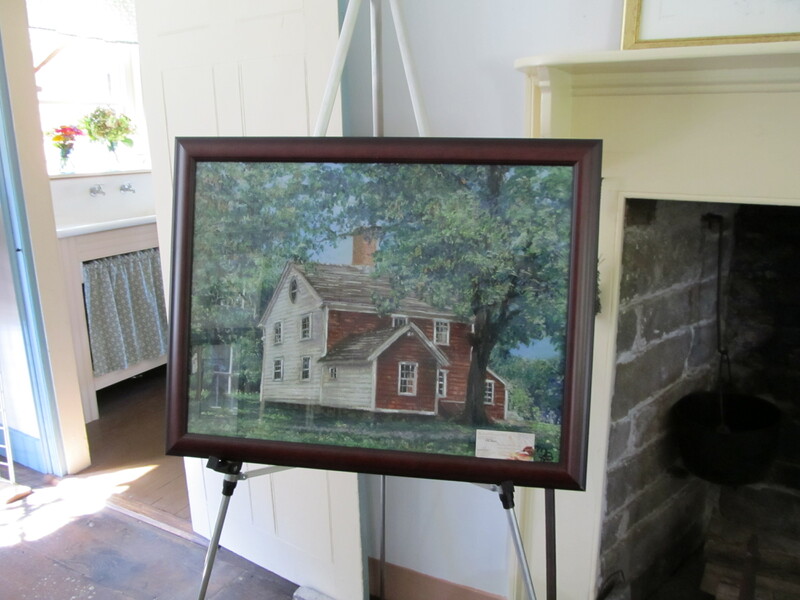 Some were created at the specific request of The Society to highlight a particular historic site or building and many have been featured at Society events such as the Autumn 2011 Wine Tasting and Art Show held at The Bradley-Hubbell House. 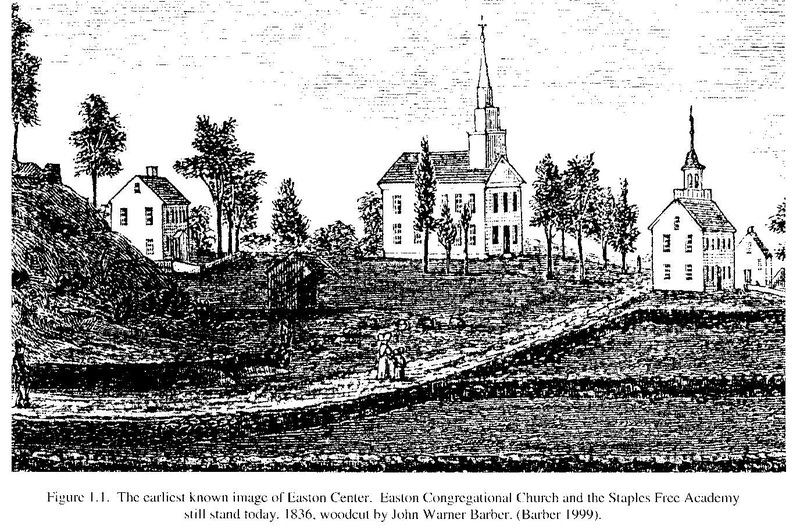 At this time there is also one historic piece of art, the first one below, an 1836 Woodcut by John Warner Barber showing the Easton Congregational Church and Staples Free Academy. 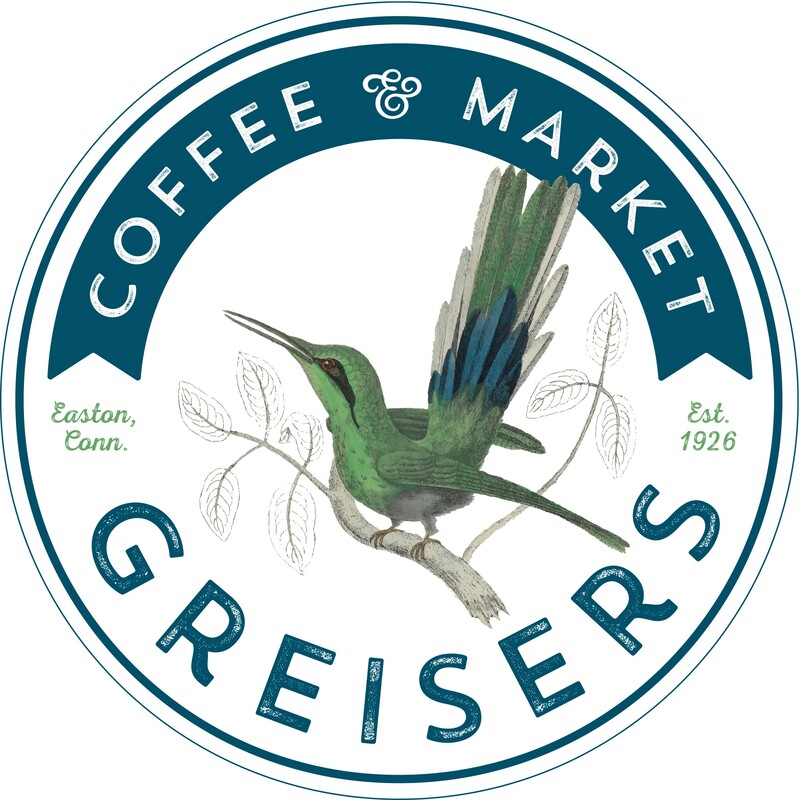 This is the earliest known image of Easton. 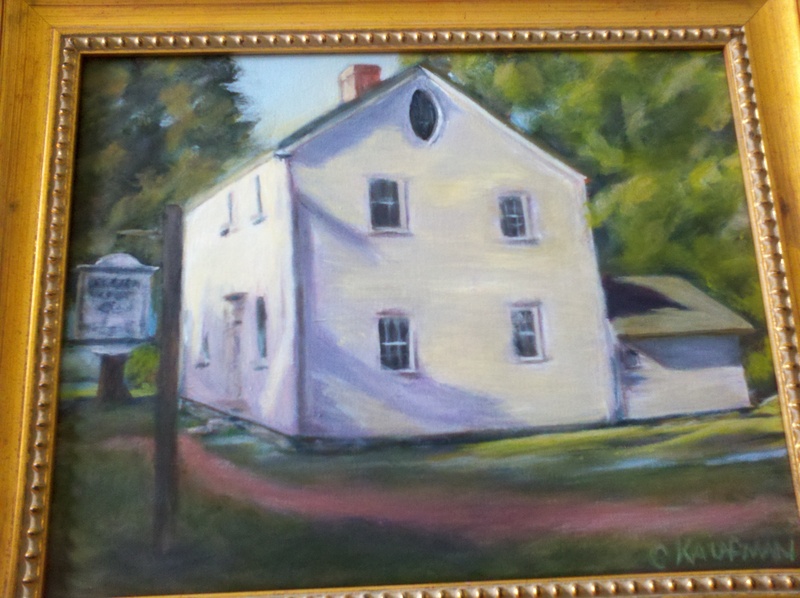 The perspective is from Center Road looking east to the present day intersection with Westport Road (CT 136). 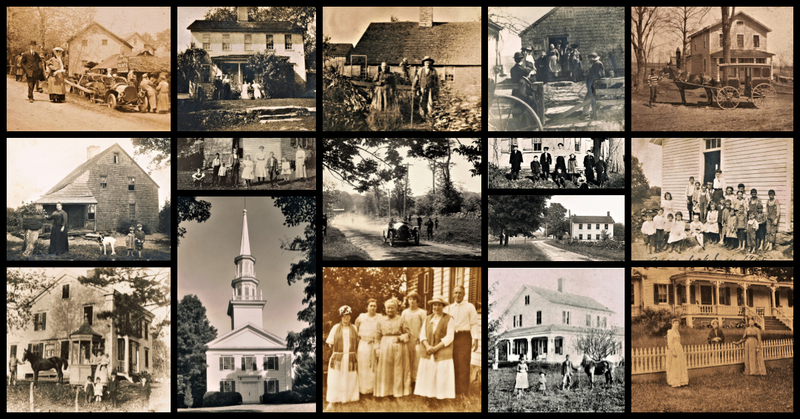 The Congregational Church shown on the left and the Staples Free Academy, now a part of the church complex, still stand today in the same locations. 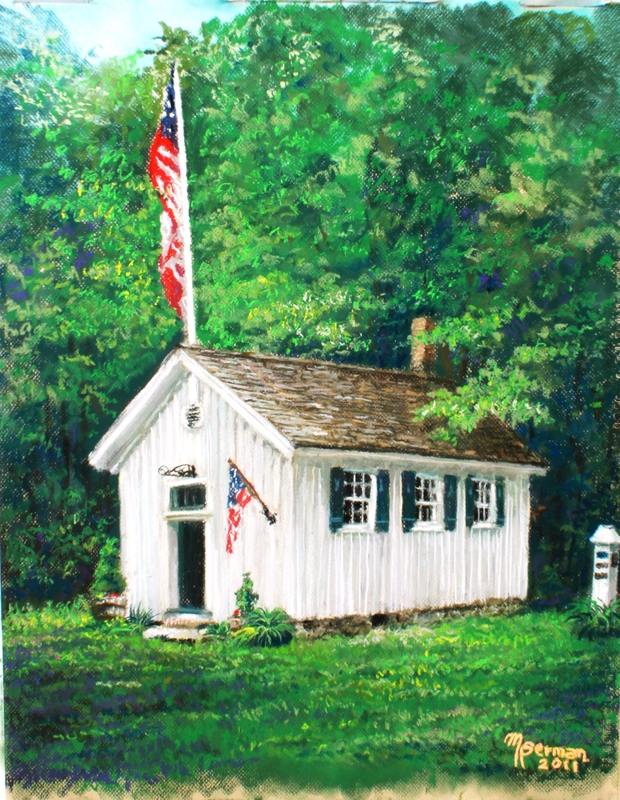 Michael Berman’s painting of The 1850’s Adams Schoolhouse, one of the properties maintained by The Historical Society of Easton, CT. 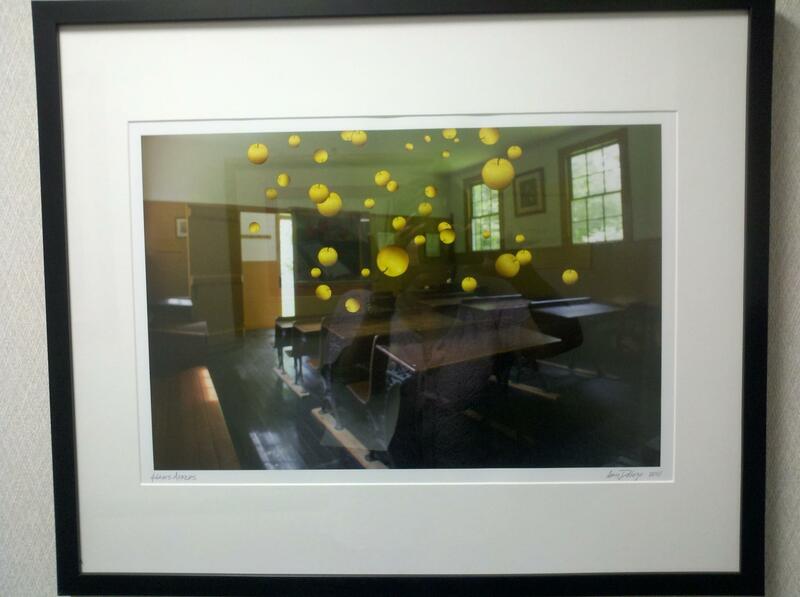 This wonderfully creative photograph of the inside of The Adams Schoolhouse was done by Amy Dolego, a professional photographer who makes her home here in Easton. You can find Amy’s website at www.wintonstudios.com . 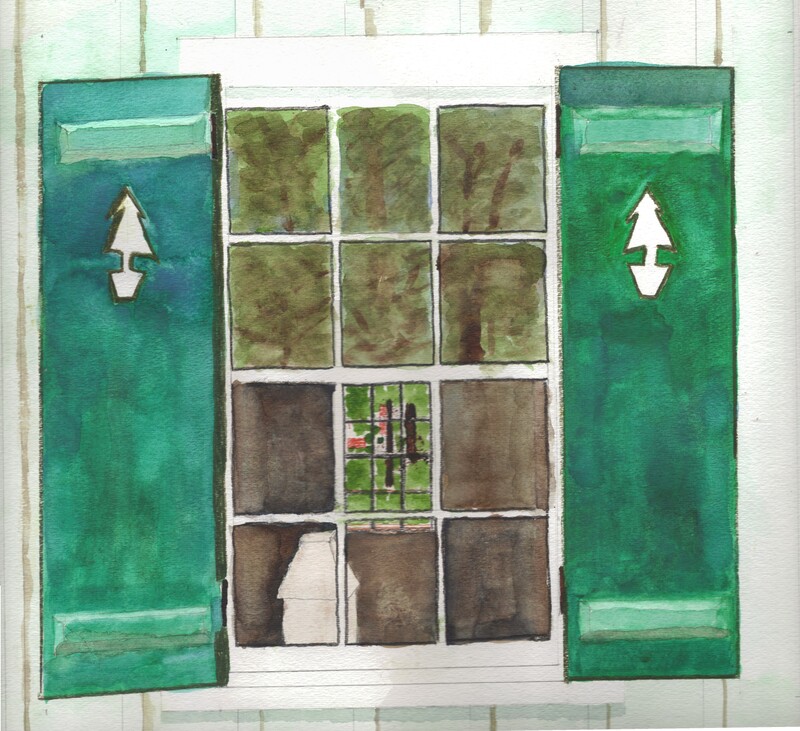 Tom Spurr’s watercolor “Path To The Privy” is a perspective of the 1850’s Adams Schoolhouse, painted in response to a call from The Easton Historical Society for artistic renderings of the historic building. This and works contributed by the other artists highlighted here were featured at the Fall 2011 Historical Society Wine Tasting and Art Show. Tom’s personal gallery can be found at: www.TomelPintor.wordpress.com . 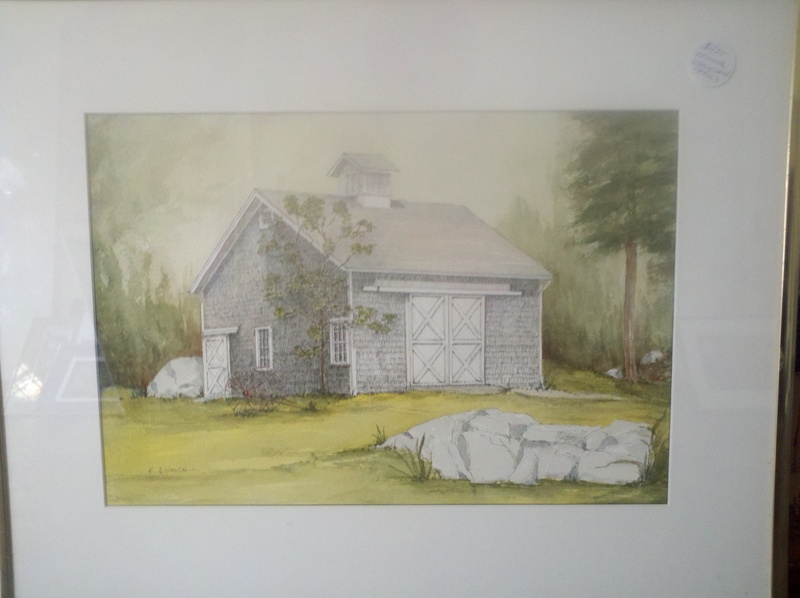 Tom Spurr’s watercolor “Reflections on Adams Schoolhouse” was also painted in response to a call from The Easton Historical Society for artistic renderings of the historic building. This and works contributed by the other artists highlighted here were featured at the Fall 2011 Historical Society Wine Tasting and Art Show. 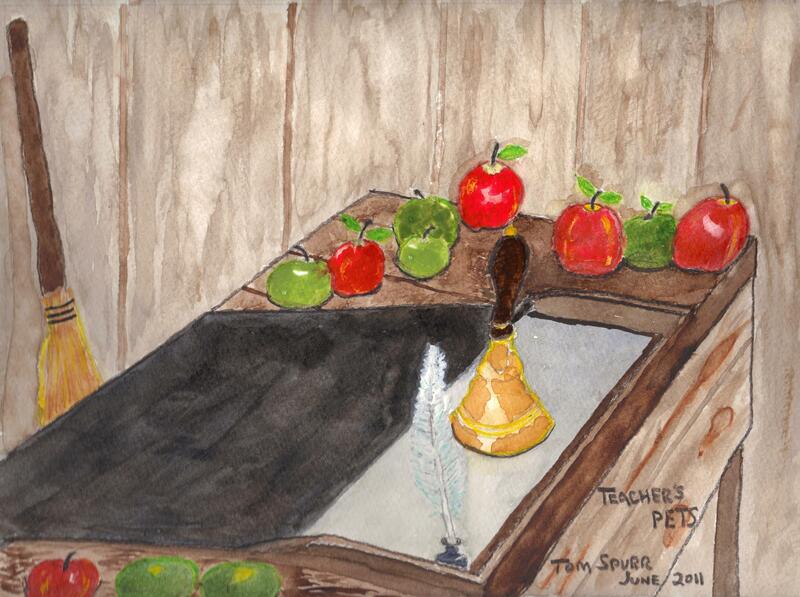 Tom Spurr’s watercolor “Teacher’s Pets” was also painted in response to a call from The Easton Historical Society for artistic renderings of the historic building. This and works contributed by the other artists highlighted here were featured at the Fall 2011 Historical Society Wine Tasting and Art Show. 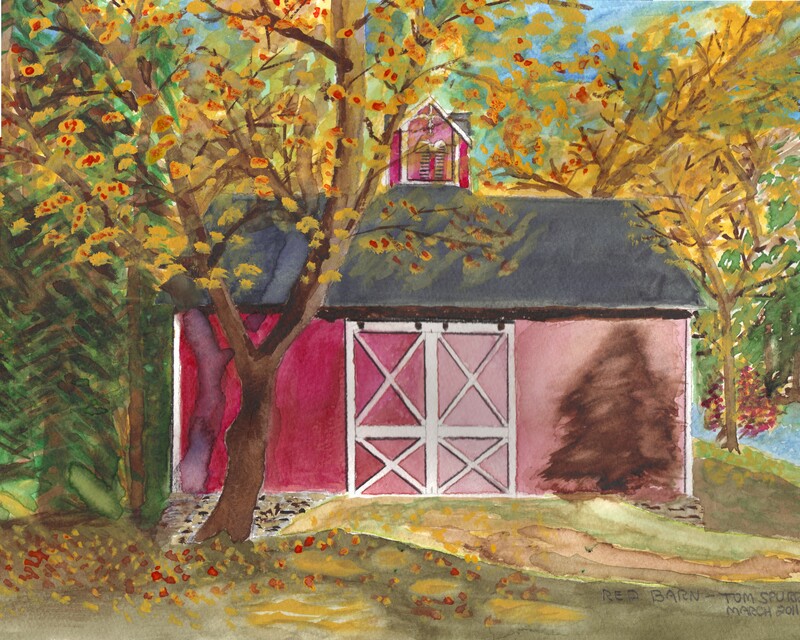 Tom Spurr’s watercolor “Red Barn” was painted from a photograph of one of Easton’s historic barns. This one is located on the Aspetuck Reservoir. This and works contributed by the other artists highlighted here were featured at the Fall 2011 Historical Society Wine Tasting and Art Show. Tom’s personal gallery can be found at: www.TomelPintor.com .